This refreshing eye patch or mask which is applied to the lower area of the eyes, is a perfect solution to treat dry, puffy, and dark circles around the skin of your eyes. Each pack contains 2 thin sheets soaked in a concentrated collagen essence, which is made of natural fibers and botanicals that smoothen, hydrate, firm and brighten eye skin. They adhere nicely to your skin, and are non irritating, which you can use many times in a week. You can read a review in this external blog. After double cleansing in the morning or in the evening or anytime of the day, when you have plentier of time, and before applying your moisturizer or eye cream, unpack the 2 thin sheets and smoothen them in your lower eye area. Wait for 10-20 minutes before removing it. Tap remaining fluids in the skin and let it dry. Follow it with your moiturizer or eye cream. 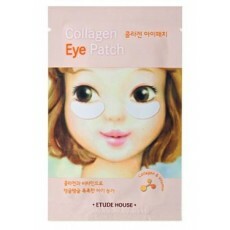 For a more soothing effect specially for puffy eyes, place the eye patch package in the fridge for minutes before using. You can use it 1-3x a week.